I didn't really buy much this month; but that's because I'm trying to cut back on my spending on books. So, this month - like last month - I've only splurged on a couple of books. 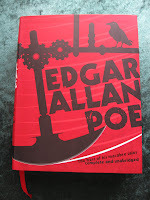 The first one is 'Edgar Allan Poe: Complete and Unabridged'. These are his stories all in one beautiful volume with a built-in bookmark! I loved this one from the moment I saw it on the tables at QBD. And I found it was worth the price; as I've always loved 'The Telltale Heart' as the most haunting story and 'The Raven' as the most brilliant poem of all time. The second one caught my eye as a very heavy and weirdly published one. I tried to peruse it in the store, but found it difficult as the writing went one way on one page, then the other on the same page. 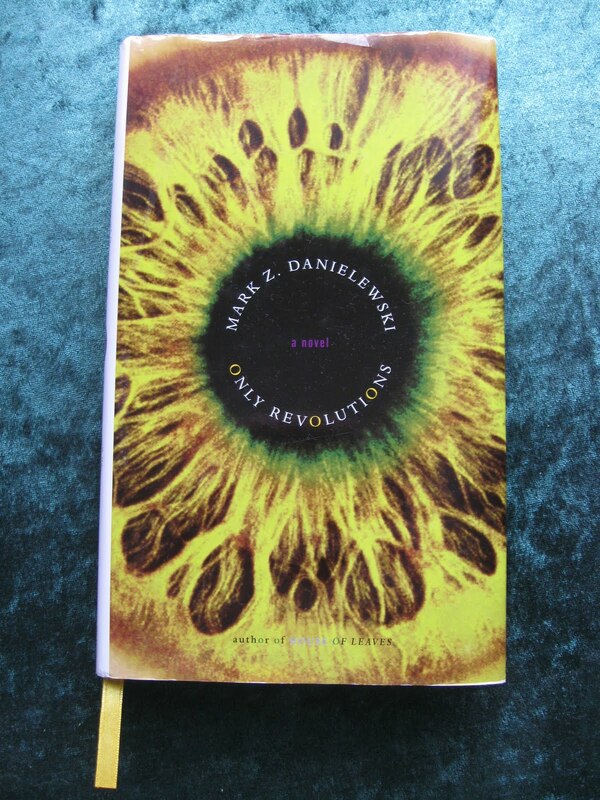 So, for $1.00, I bought 'Only Revolutions' by Marck Z. Danielewski. I'll let you know how I go with this one as it was a real puzzler to figure out in the shop and I found it in the bargain box. So, they are my two books for this month. Stay tuned next month for my purchases. You never know what I'm going to get in to add to my collection. 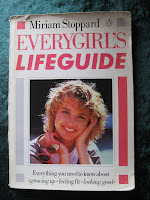 I remember receiving this book when I was around sixteen years of age. It was of great help to me as my parents are Baby-Boomers and were brought up to not talk about anything to do with going through puberty or growing up with their kids; as their parents hadn't really done it with them. It had been a taboo subject in their time. And seeing I was borrowing this book from our local library constantly, they thought the next best thing for me (and the library) was if I had my own copy. I found this book a fountain of knowledge. If I couldn't ask or talk to my parents about a certain thing, I could look it up in this book. However, if I couldn't find it in here, there was always the library I could go to find and read up on anything I needed to know. The one small problem with this book is that it is out of print now; and I have searched everywhere for it. You can find it on Amazon and e-bay, however not many bookstores will carry it unless you're in the UK. Also, if you can lay your hands on a copy, it won't be this particular one as this one is a first edition and it was only reprinted maybe twice more and then stopped. I'm not sure why; but it would be interesting to find out. 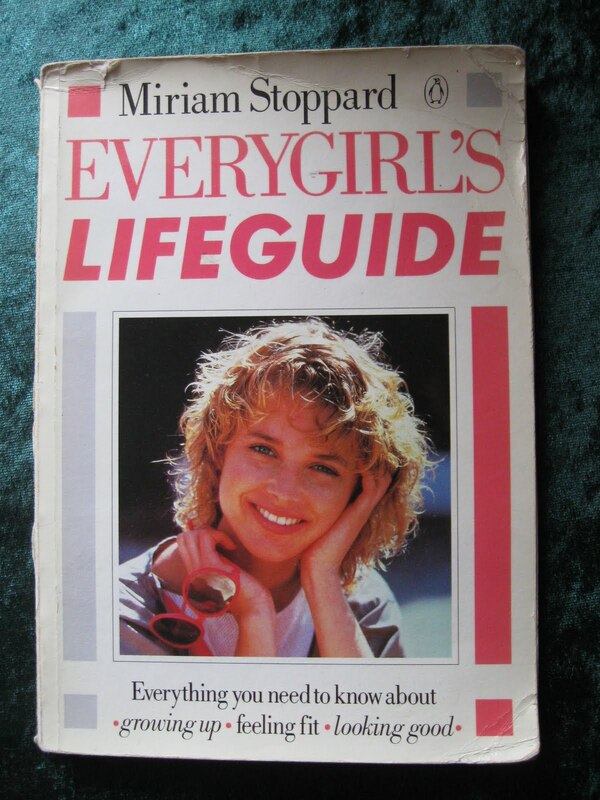 Miriam Stoppard now concentrates her publications on pregnancy and caring for your new baby. But she is still working as a very famous and well-known doctor and author in her field. I've put the link to her official site on the side bar. And seeing I can't really find anything about her life, I can't really write anything about her here. 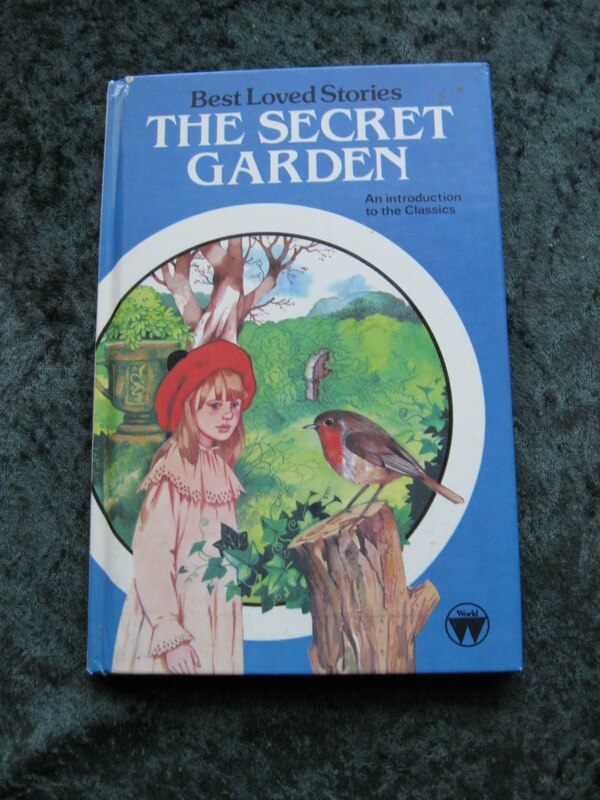 When I was young, I read this book; and loved it. Its main character of a young girl whose parents are killed in India and has to move to Yorkshire, UK to live with a family friend is one of those stories where you wonder how the child will adjust. However, adjust, Mary Lennox does as she wanders around the estate and discovers a secret garden that has been locked away. Along with finding this overgrown garden, she finds new adventures and new friends; thus Mary also finds that this new life must be good for her. As the book progresses, it shows Mary that if she really wants to, she can achieve anything. This is a wonderful little book for young children who enjoy reading at any level. I read it over and over because it was a favourite. And I will most probably give it to my neice soon; as she's reached that age where she'll read this kind of book. 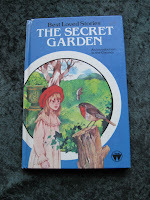 Frances Hodgson Burnett (24, Nov, 1849 - 29, Oct, 1924) . After her father passed away - leaving her Mother of five children and little money - her Mother ran the family art materials business; which she failed to keep running, mostly due to the effects of the Civil War. At the age of 7, Frances began writing melodramatic novelettes. And in 1864 the family Mrs. Hodgson was forced to sell the store and the family moved to Knoxville, Tennessee after receiving a letter from her brother. Unfortunately, her family situation did not improve. In 1868, at the age of 18, her first stories were published in Godey's Lady's Book: 'Hearts and Diamonds' and 'Miss Caruther's Engagement'. She began to write five or six stories each month, for $10 apiece and supported her family by writing. Throughout her life, Frances wrote many articles and books for her children and traveled many places. However, there's so much on the biography page I've found, I have decided to put a link to the page for you so you can all read it complete without me copying and pasting it; as it's so detailed. This very plain-looking book was bought at a second-hand bookstore at Brunswick Heads; which unfortunately isn't there anymore. In the last year, the 'Gallery Book Store' was sold for a small fortune and the owners bought the newsagency. 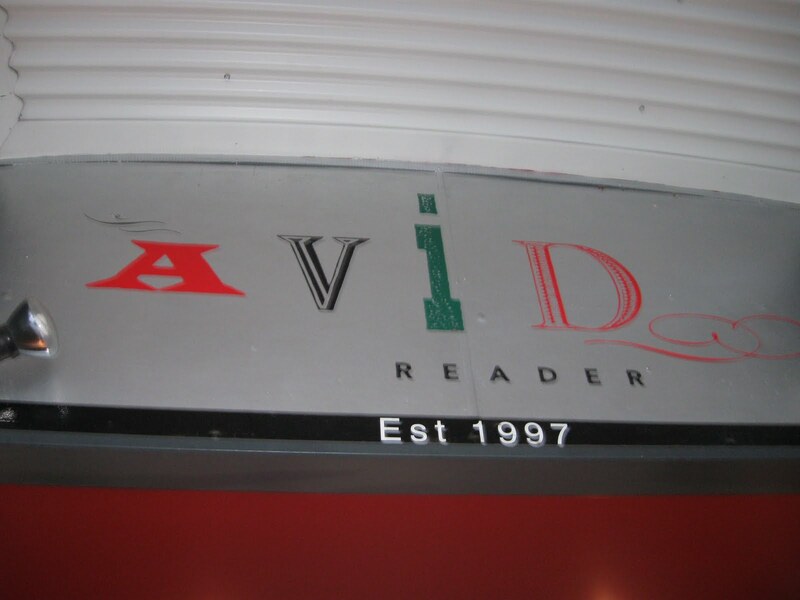 So, there's no real bookstore to go hunting for books in Brunswick Heads, NSW anymore; which is a pity. But a few years ago, I did get the opportunity to purchase this book and found this writer purely by chance. I enjoyed reading the stories in its covers and found that 'The Children's Bach' was extremely long; much longer than the finished story. I've yet to read the finished book; and I do look forward to reading it once I find a copy of 'Postcards From Surfers'. In the meantime, I will get my nose back between the pages of this book again for the fun of it. 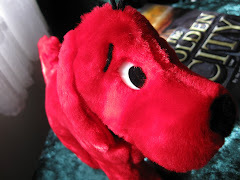 This wonderful and charming book by the Grandfather of fantasy is a story about a dog that had been turned into a toy by a wizard and then sent by a 'sand-sorcerer' to the moon and under the sea. This is what's written on the inside flap of the book I own. I have tried to read this wonderful hard cover edition I own on my bookshelves; however it being a children's novel, I found it hard to get into it. Tolkien's words are still rich and full of description and wonderfully colourful for a child's imagination to grow within and around. And I've found on Bookfound.com that this particular copy - with a dustcover that is still intact and in very good condition - is worth between $40 and $55 Australian. There is a little wear where it's been bumped around along the top and bottom; but that's to be expected. Tolkien's books can be very collectable now the films have been made. 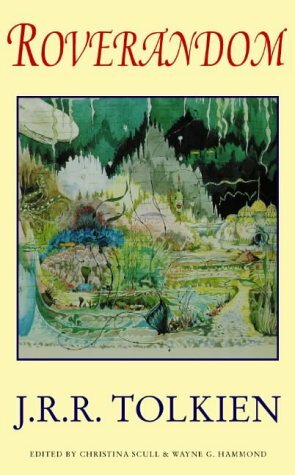 If you're looking for something that is worth something, keep an eye on what year it's published and make sure you try for publications that work around the year Tolkien passed away (1973). Yesterday, I was out with my family and we had lunch and stuffed around on the net playing around a bit, then headed into the West End area of Brisbane. This a cultural melting pot of the city where there's pubs, clubs cafe's, art galleries, shops and little places of all kinds that fill up the area which is mostly heritage listed but the poor and rich live side-by-side. It's a mecca of the beautiful and the ugly that survives together because it can... and it always has. While I was there, I watched my brother's band play and Mum, Dad and I wandered down Boundary Street to get some photos of the area as the sun went down. Mum and I are mad on books and book stores. 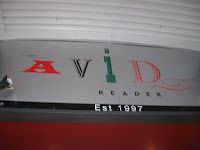 And we found one bookstore that was near the Mater Hospital (and I've forgotten the name of; but will visit there and give you an update of it soon as it's near a major bus station); and the other was called Avid Reader. This book store was jam packed with books and was unfortunately closed... however, I wanted to come back when it was open, and so did Mum. However, I'll put its link on the sidebar in case you're all interested in it and in here too. In amongst the books I purchased while on holidays at Brunswick Heads and around the Northern Rivers Area of New South Wales, I found this wonderful second edition of 'Old Man and the Sea' in The Book Barn at Mullumbimby. Mullumbimby is a medium-sized inland town where all kinds of people reside. 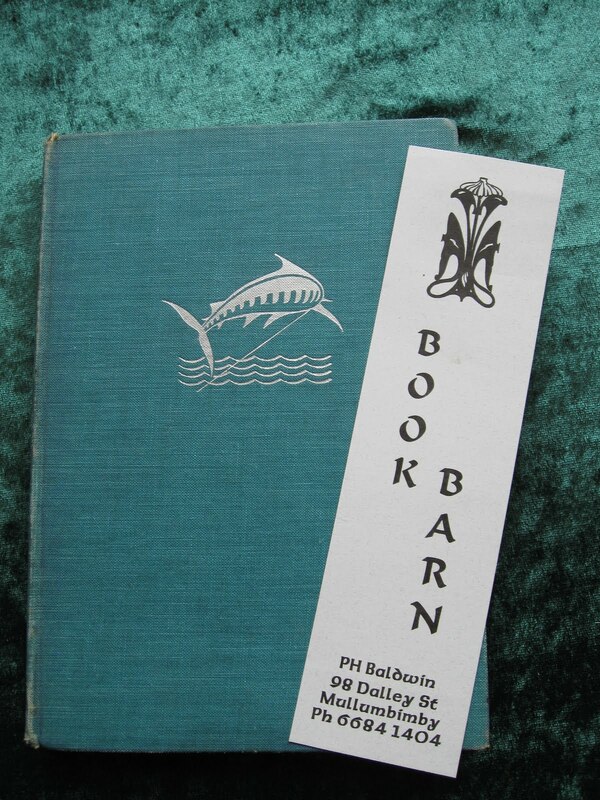 It's very pretty and green and I love going there as it brings out the hippy in everyone... and I absolutely love going on the hunt for books in the old bank which is now called 'The Book Barn'. This edition wasn't really hiding in the bookstore, it was sitting on the shelf along with other collector's editions in its own room. Yes, the owner of this store has been good enough to his customers that he has sorted out the classics from fantasy from the collectibles. And this is exactly where I found this little gem and paid a neat sum of $14.00 for it. Currently, I'm trying to find out what it is worth on the marketplace and will tell you all how much it is worth soon. I haven't read this book as yet. But I do remember it being offered up in high school; and I never got the chance to read it. And all these years later, I have always wanted to read some edition of this book; never did I think I'd ever read this quality of book - especially a second edition! Cousin Connie has come to visit from the city and Jo, Bessie and Fanny have been told by Mother to make sure she has a good time. When this young girl arrives, the three children find out very quickly she is very spoilt and outspoken for her age. She had heard all the stories about Moon-face, Saucepan Man and Dame Washalot and thought they were downright silly and stupid; and said so to Jo on the way to the house from the bus. Bessie and Fanny tell Connie that they were thinking of taking her to the Faraway Tree so she could meet all these people, but Connie is adamant about her disbelief in all things of fairies, magic and brownies. But the three take her anyway, and what happens throughout this book is very much a learning experience for Connie... but will she believe in the Faraway Tree, even if she meets all the characters who live there? I received this book when I was eleven years old; and I loved reading it over and over. Even though it's the third book of the series of five and some names have been changed since its reprinting, I still love the storyline and how much it still entertains children today. And from that age, I did want to own all the other copies of the series; however, my parents could never afford to purchase it for me. So, as I got older, I vowed that if I ever became a parent or an Aunt, I'd make sure my niece/nephew owned the entire series of the Magic Faraway Tree. And you know, I've got a darling niece who I bought the whole series for when she turned five. She still has them in her bookshelves and still reads them now and she's the same age as I was when I first received my one and only. Over the last year or so, there has been the great debate between having a real book in our bags or a Kindle E-Reader. This debate has had a lot of people taking sides and once they've taken them, many haven't looked back. So, let's start at the beginning. When I was taught to read, it was from a book. 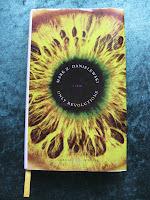 I turned the pages and felt them between my fingers; and that's mainly what got me going - my passion for them that is. This is how I got into collecting books in the first place. Never in my wildest dreams did I ever think that before I was forty would books become so advanced that we'd be using electronic devices to read them. Nor did I think we'd be able to communicate across the world via computers that I began using in high school (which were so very slow at the time too!). 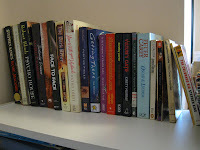 Now, books are still published and put out onto the shelves, however they can also be downloaded for a price as well. But my question to you all is: are you an old-fashioned book-reader or are you a Kindle E-Reader? It doesn't matter which one you are, we'll all read the same book whichever format we decide to read it in. But the war goes on about how books are to be published in the not-to-distant future. 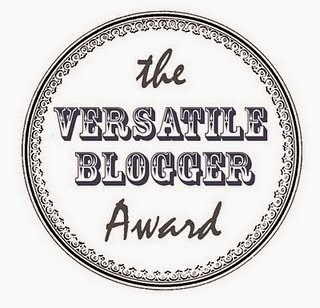 Will they still be available in the hard copy printed form we have all grown so used to and loved; or will they eventually become only available in E-Reader form where we will have to acquire one of the Kindles at some point? 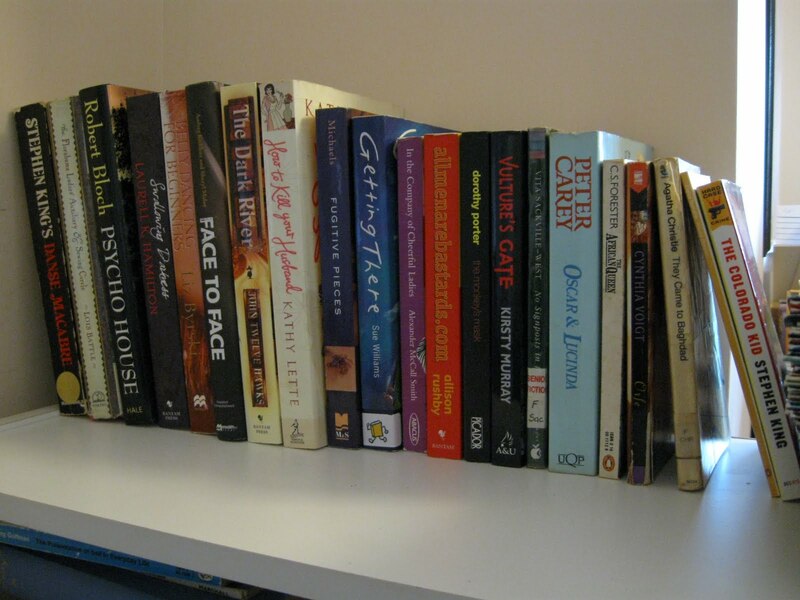 Personally, I do love to run my fingertips along the spines of my books in their shelves. I enjoy the smell of a new book; and the odour of an old one. There's just something about having a real book with me where I can find my place with the bookmark and read the pages, and turned the page - feeling that familiar paper between my fingers that started the love of what's in my hands from such a young age - no matter where I am in this world. And what I love the most about reading books is that I can get into a book absolutely anywhere; at any time and it will take me away from where I am now to another place, time, planet and custom until I close its cover and return home.